Yankees fans, the postseason is finally upon us. 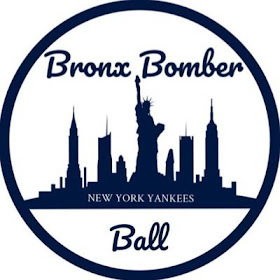 The 162-game journey that is the Major League Baseball regular season has come to a close, and the Bronx Bombers won 100 games for the first time since 2009. While the season had its ups-and-downs, it’s remarkable that this team found a way to win that many contests considering the injuries they faced. 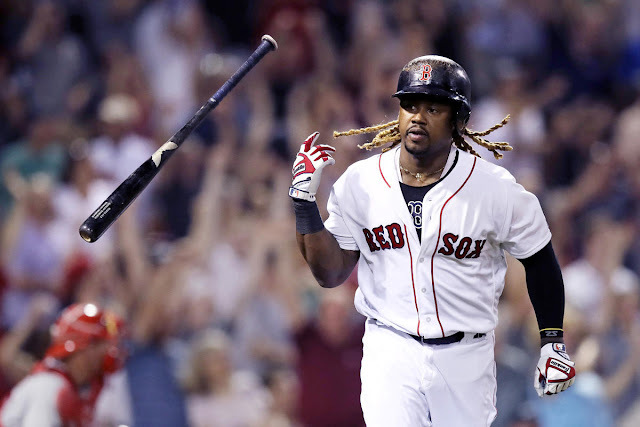 Unfortunately, the Boston Red Sox had an historic 108-win season, so New York will be hosting the Wild Card game for the second straight year, and the third time in four years. 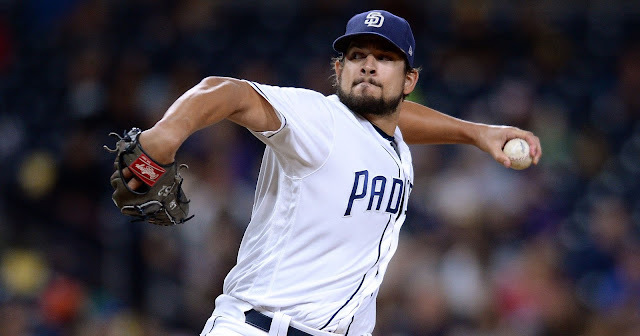 With that comes some difficult roster decisions, namely who the starting pitcher will be, who to keep in the bullpen and which position players to keep on the bench. 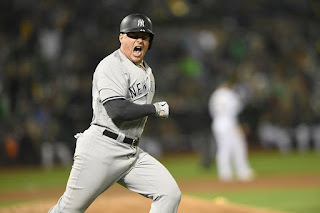 This article is a prediction of the Yankees' 25-man roster, starting pitcher and starting lineup for Wednesday’s game against the Athletics. I have predicted the team will keep 14 position players and 11 pitchers. Last year, Joe Girardi opted for 15 position players and 10 pitchers. For your reference, I have bolded the players I expect to start at each position group. Analysis: The Yankees have little choice but to start Gary Sanchez behind the plate in this do-or-die playoff game and hope for the best. Simply put, his powerful bat is too big of an x-factor in this setting, and Aaron Boone knows that. It’s possible Romine comes in for defense if the game is tight in the last few innings, but he won’t be starting. Analysis: Not only will Luke Voit start at first base in the Wild Card game, but he might also bat in a prominent position in the lineup. After hitting 14 home runs in 132 at-bats, he has earned it. The other three starting infielders have been in place since April. On the bench, Neil Walker will serve in a late-game pinch-hitting role, and Adeiny Hechavarria will be the Yankees’ top bench glove, likely coming in for Miguel Andujar in the late innings. Notice that Greg Bird is not here, as Walker took his backup first base/pinch-hitting job. Analysis: There isn’t much to debate here. New York will keep these five players on the roster, and Andrew McCutchen will get the start over Brett Gardner in left field. Gardner could play an important role as a late-game defender or base-runner for as long as the Yankees stay alive in the postseason, but he’s not likely to get very many starts. Analysis: Aaron Boone has a tough decision on his hands to determine the starting pitcher in this game. Ultimately, I’d put my money on J.A. 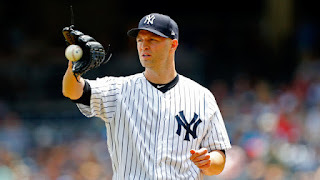 Happ, who is far and away the team's most reliable starter right now. Moreover, Happ fired six innings of one-run ball in Oakland earlier this month. With the way New York relies on their bullpen, their starter probably won’t win the game, but he can lose it by imploding. Severino and Tanaka are much more prone to game-losing blow-ups than Happ. Expect Happ to go between three and five innings before handing it over to the bullpen. Analysis: Six of these spots are locks, with the lone debatable choice being that of Stephen Tarpley. Tarpley emerged as a valuable piece of the Yankees bullpen in September, throwing eight scoreless innings in his last nine games. Tarpley also gives the team another left-handed option along with Zach Britton and Aroldis Chapman. Against an Oakland team that features left-handed slugger Matt Olson, Tarpley could be called on at some point. Analysis: Ultimately, I think the Yankees are going to feel that the speed and defensive versatility Tyler Wade offers is too valuable to ignore in a one-game setting. It wouldn’t shock me if they decided to keep a long reliever, but the team has plenty of other arms to navigate through this game. Lance Lynn probably has a slight upper hand if they keep a 12th pitcher, but Sonny Gray will also be in the discussion, thanks to a 2.60 ERA in 17.1 relief innings. Analysis: This lineup has so many moving pieces, and the only true locks are probably McCutchen and Judge in the one and two spots. Hicks has been batting third lately, and has reached base seven out of nine times against potential Oakland starter Mike Fiers. I think Voit has a slight edge over Gregorius for the five spot simply because of how hot he is right now. 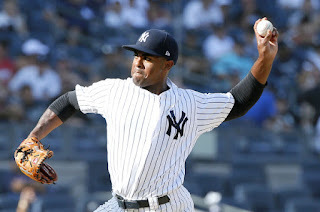 Putting Andujar at seven is not an easy decision, but all year it has seemed like Aaron Boone prefers to keep Andujar and Torres at the bottom of the order whenever possible. Ultimately, it wouldn't shock me if this lineup is wrong in four or five of the slots. This lineup is ridiculously deep and interchangeable.